as seen on TV | live. laugh. love. In defiance of meatless Monday, may I present…Meat-Y Monday!! I cook not exactly healthy mostly carnivore-ish recipes/meals & my family does enjoy their meat, so suffice it to say “meatless” is just not a term that fits comfortably in our mouths, much less with any semblance of regularity to where I would make various posts. Did that make sense? 1) It’s a new recipe from the latest Good Housekeeping that I wanted to try anyway. 2) It requires few ingredients, which = inexpensive to make. 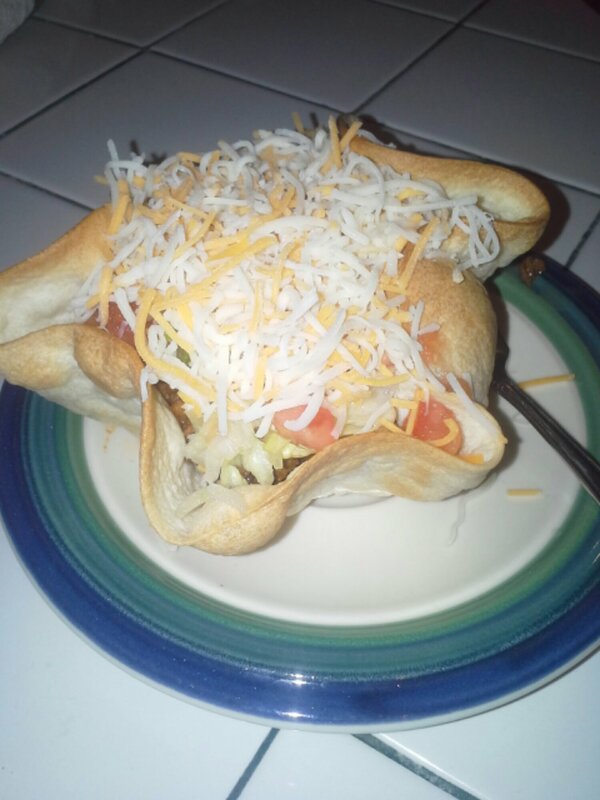 3) I wanted to find a meal idea that would use up all/most of the leftover ingredients from taco salads last night. Fortunately this does. I don’t have enchilada sauce but I do have 1 lone (yet humongous) tomato that I’m going to attempt to make ‘sauce’ out of, which I can then combine with a tiny can of Rotel that’s in the cabinet. I will have to make the meatballs myself but that’s okay, not a big deal. As for the tortillas we have a big pack leftover that I wanted to use because they’re good & not cheap. 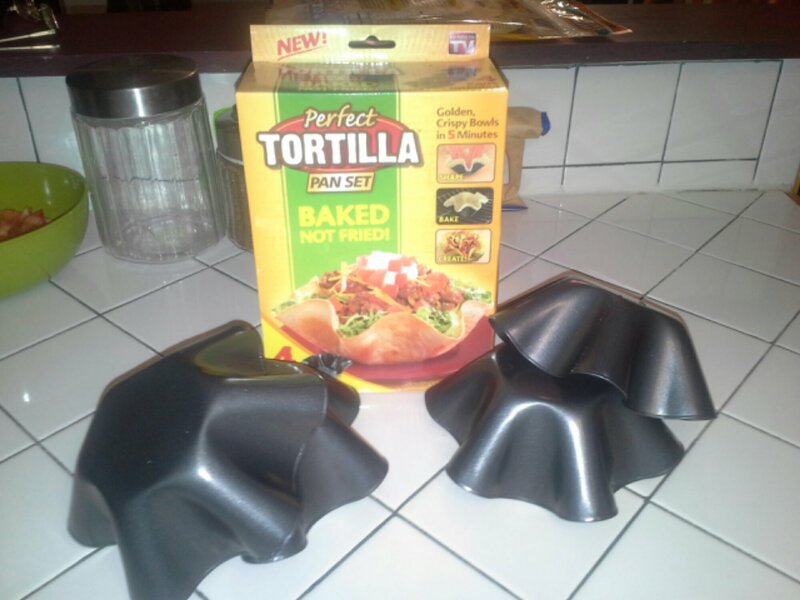 Side Story: We have the tortillas because C can be quite a thoughtful husband & a few weeks ago he picked up a pack of those “as-seen-on-TV” tortilla bowl pans for me. I hadn’t had a chance to use them until last night, for taco salads. The directions made them seem easy to use & they actually were! The tortillas practically situated themselves in the pans. 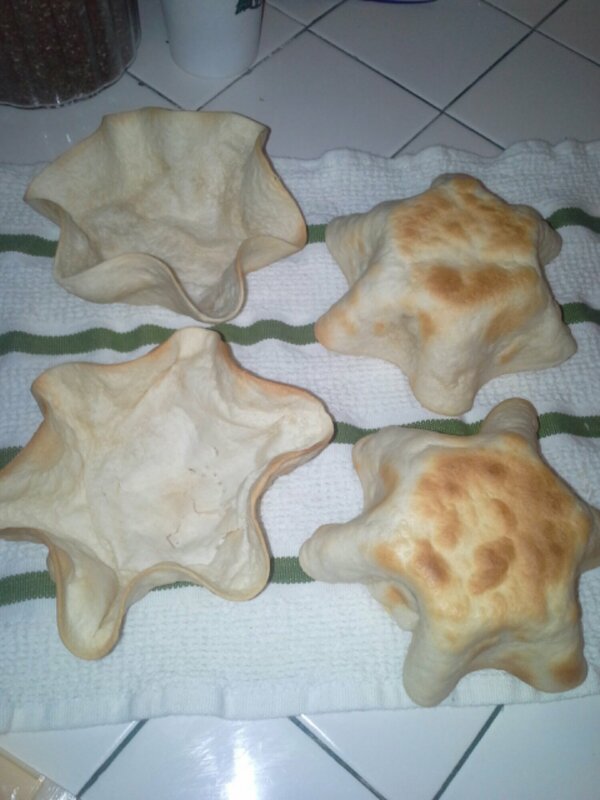 The only minor complaint I have is that at the end of cooking they bubbled up; maybe my tortillas were too small? Maybe I should’ve poked each one with a fork prior to baking? Who knows….it was an easily solved problem, I just murdered poked the bubbles. So, in my humble opinion, the Perfect Tortilla Pans are $10 well spent. Anyway….I got sidetracked….I don’t have any photos of the meatball enchiladas as I haven’t made them yet but I will be sure to get some & update this post. Now I’m off to try my hand at this….we’ll see if this recipe is a keeper! Mix tomato sauce, chili powder & meatballs together in a large bowl. Fill the tortillas with this mixture, then place seam side down in a casserole dish. Top with enchilada sauce & cheese; bake at 400° for 30 minutes. If you try this let me know your thoughts! 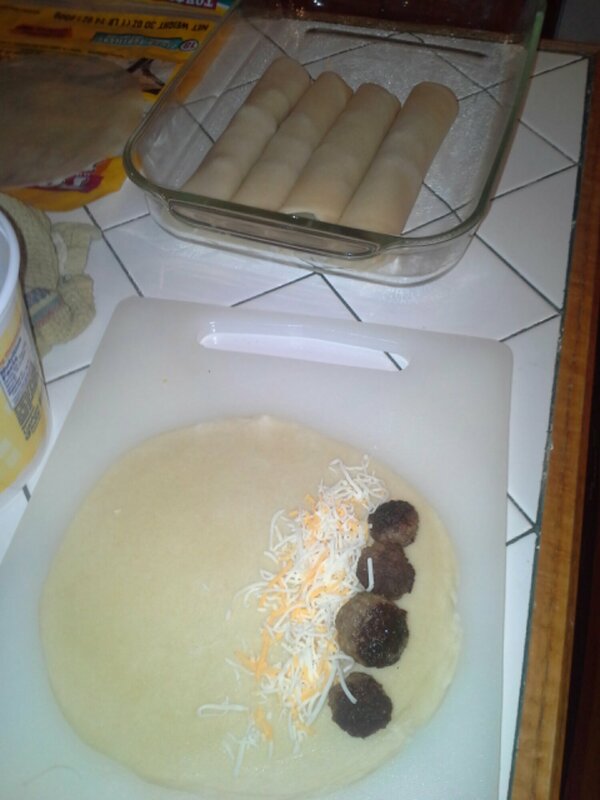 I laid each tortilla out then lined up meatballs, added a little sprinkle of cheese, then rolled ’em up! They turned out so good (& I’m such a dummy) that I didn’t think to get a picture of the final product before we scarfed them down! I nestled them in a Pam'd casserole dish then alternated layers of cheese (I like a lot of cheese) & sauce on the top.